I was about to make my first adult decision in a long time. I was contacted about providing some very exclusive coverage of the Mayhem Fest press conference, but it just so happened to be at the same time I was supposed to be across the country doing ethnography sessions for a finance brand. Decision: hang out with rock stars all day doing my social media thing and have a ton of fun, but make no money…..or, go do a bunch of interviews on the cold east coast and make $$$. This time I was actually going to choose the latter. I just turned 33, I need to settle down! 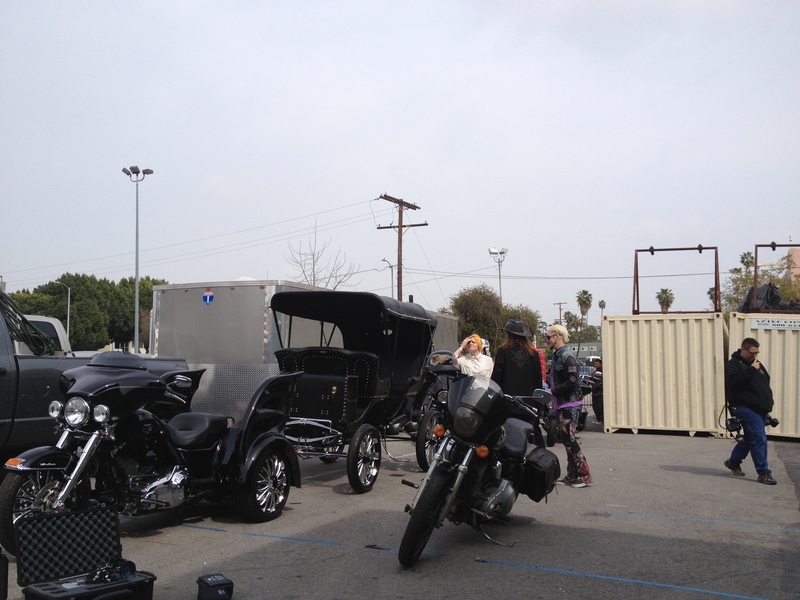 As I drove to The Palladium and saw all of the bikes in the parking lot, I got really excited. 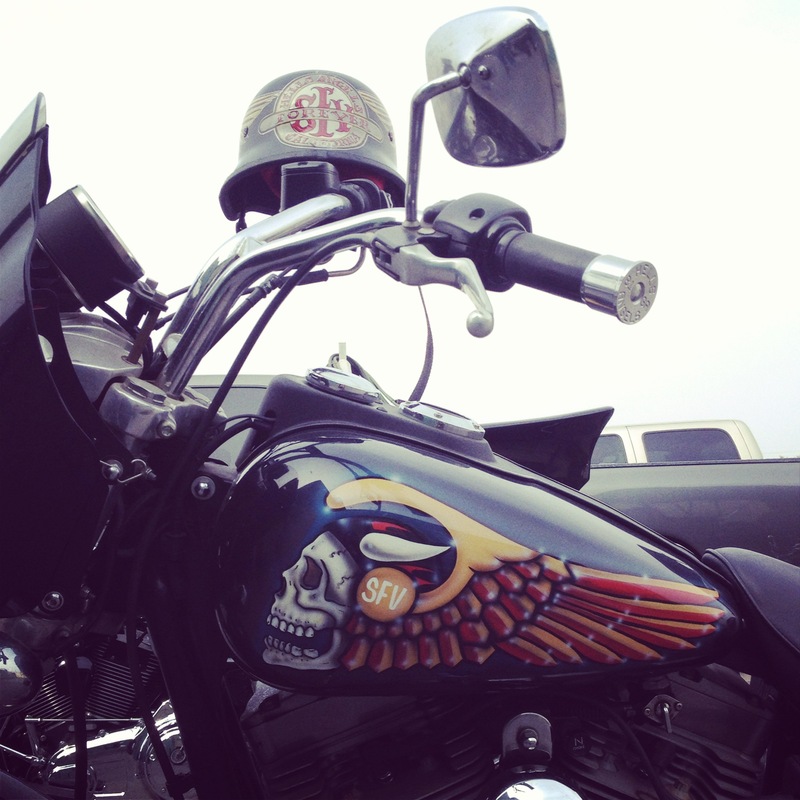 Motorcycles and metal…has there ever been a more perfect combination of forces? I parked and walked up and started going over the details of helping roll out the tease of what would be the announcement of the lineup for this summer’s Mayhem Fest. 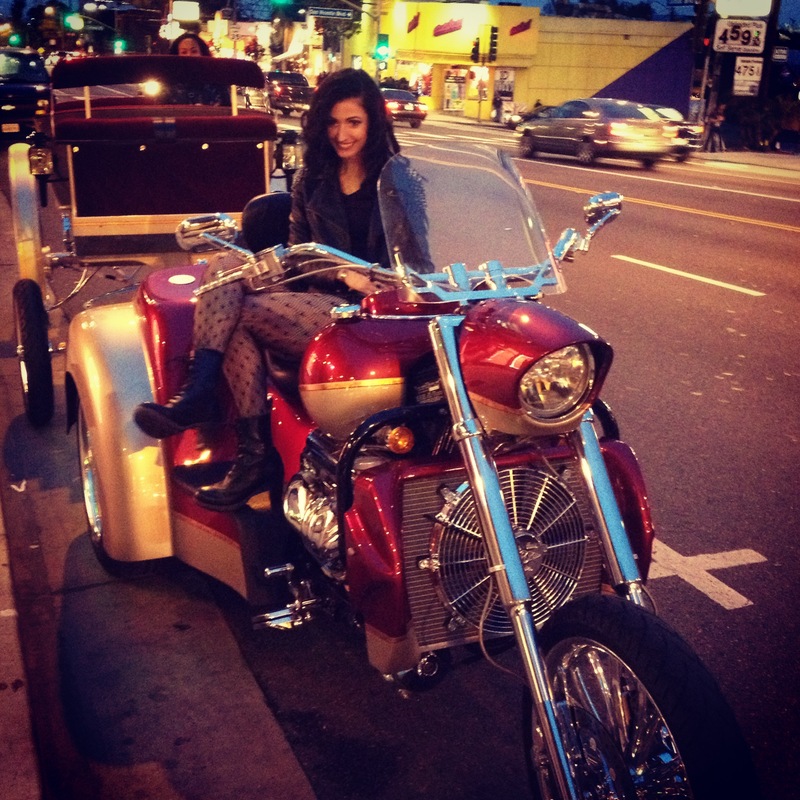 I felt like I was on an episode of Sons of Anarchy…which was a very good thing. 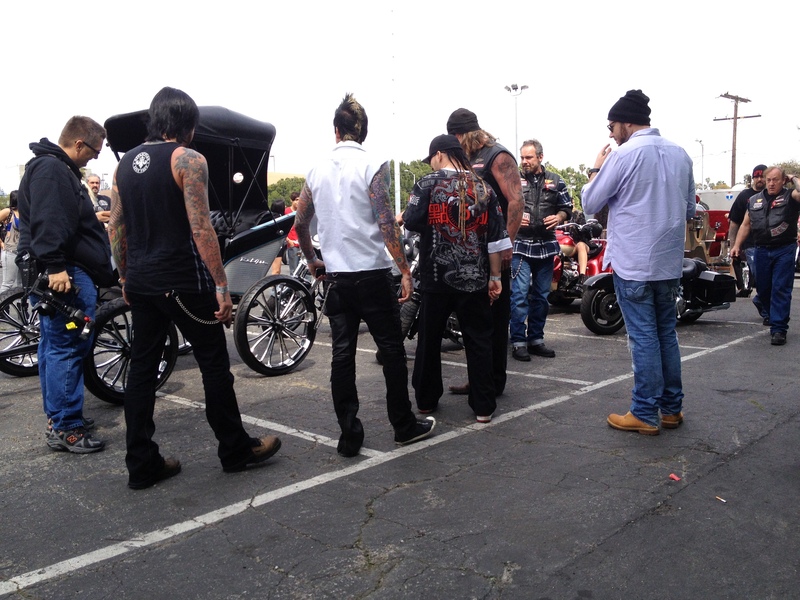 Biker dudes: really nice group of guys. 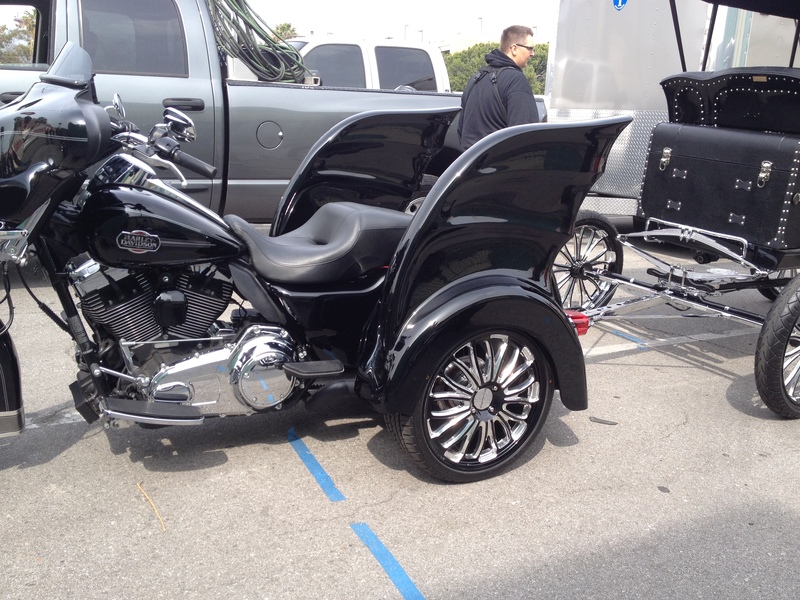 I felt honored when they asked me what chariot I would be riding in…but alas, I have not reached that level….yet. 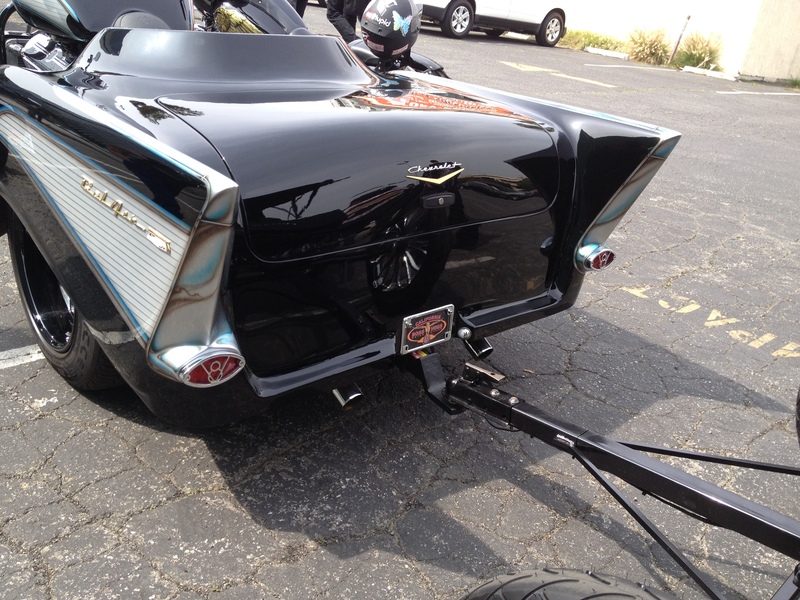 So I strolled around taking pictures of a motorcycle helmet here, a wing-tipped carriage there. I watched members of the bands participating in the procession getting excited to be part of this metal parade, taking pictures and chatting with those that will soon become part of their traveling summer camp experience. As the procession began and those engines fired, I felt exhilarated to be part of this. As the bikes and chariots zoomed by me, my hands shook to get in a last teaser post before running (RUNNING!) to my car down the street and zooming along side streets trying to catch up to the procession. Unfortunately, that did not happen, but I rolled up to the Whisky shortly after the main arrivals had taken place. Once inside, the ubiquitous Jose Mangin served as emcee for the announcement and press conference. I was very pleased to hear HRC faves Mastodon, Behemoth, and Amon Amarth among the pack. Then, as part of the press conference, 5FDP came on stage to a reel including snippets of some of their new music. 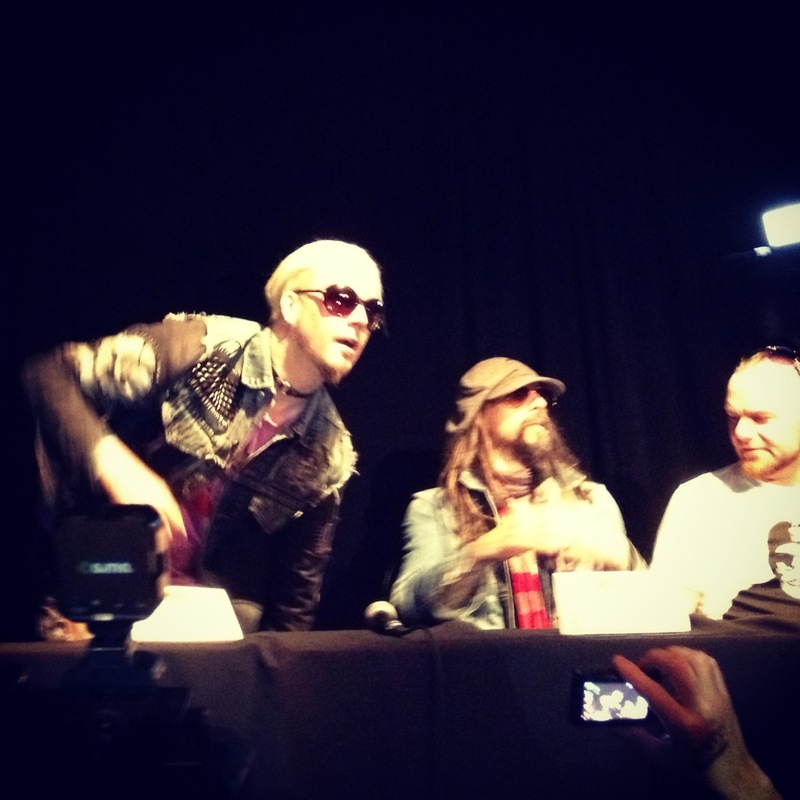 And as Rob Zombie and band arrived, we got to see a sneak peek trailer of his upcoming film, The Lords of Salem. I’ve said it before and I’ll say it again, opening up the floor to Q&A in this kind of environment is a cringe-worthy experience, unless you have a really strong moderator. This portion resulted in 15 minutes of WTF moments. To top off the evening, it wouldn’t be complete without a couple performances. Huntress and Butcher Babies each played short sets; showing that women have a strong presence in the lineup this year. 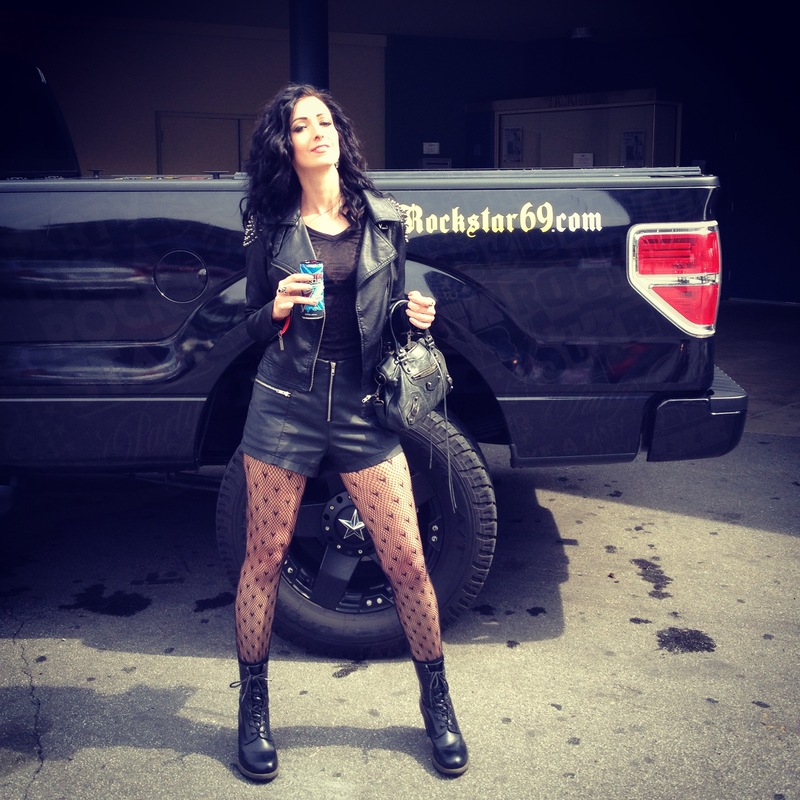 Mayhem Fest has become a summer tradition for me…I always look forward to the long, hot day that results in an over-stimulation of music, and, generally, my liver. There’s something about the communal experience that results in dripping with sweat and aching eardrums that is the true celebration of our scene each year. The night wouldn’t have been complete without finishing it at the Rainbow. Note to self: do not mix Rockstar and Whisky. Helloooo, four AM….